There's no doubt that the Lemony Snicket joke is a brilliant one - and that children love it. 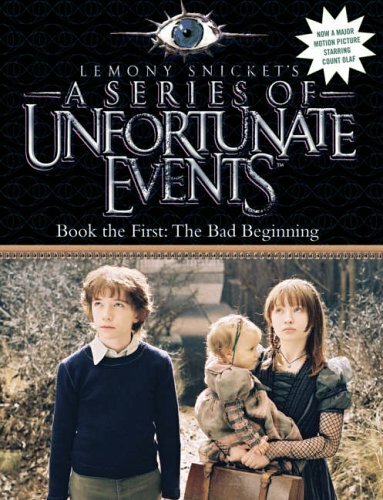 The idea of 'A series of unfortunate events' is irresistible since, as everyone knows, bad news is always more interesting than good. So, the horrors that befall the young Baudelaire children who are first abruptly orphaned and then, as a consequence, sent to live with an outrageously disagreeable uncle are fascinatingly gruesome; as is Lemony Snicket's original and lugubrious style with its strange and amusing asides to the reader, explaining both perfectly obvious and possibly obscure words or phrases in an equally conspiratorial manner. Perhaps inevitably such a collusive style between writer and reader cannot be completely caught. Certainly, in Tim Curry's reading the lugubrious verges on the tiresome and the overall pace is too slow to hold attention absolutely. The jokes remain however and if gruesome grabs there is a lifetime of Lemony Snicket stories to come.